The giant Miscanthus, what is it? The Elephant grass, also called Chinese Reed, is a hybrid grass. The giant Miscanthus was born from two other natural species: sinensis and sacchariflorus. The plant originates from certain regions of Asia, and was imported into Europe during the 1930s.It is appreciated by Europeans specially for its aesthetic function in their gardens. During the 1980s, some studies about the giant Miscanthus were conducted to find how it could be useful to the production of biomass. Since then, this plant has also been applied for many other uses. Planters who turned to this product claim that they enjoy a number of undeniable advantages. 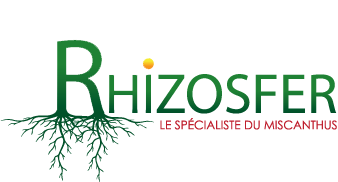 As a multiplier, Rhizosfer offers them high-quality Miscanthus rhizomes for purchase so that they can plant their crop. What do you need to know before you set up an Elephant Grass estate? The cultivation of giant Miscanthus is sustainable and can last 15 to 30 years. Farmers who have decided to buy rhizomes of Miscanthus giganteus specially appreciate its very high level of yield. Research has concluded that this herb offers a good productivity through its C4 metabolic composition (photosynthesis). This crop can only be grown from rhizomes, due to its infertility, and thus does not produce weeds that can harm other plants. The planting starts in March and the growth happens between April and September. In such a short time, it can already reach up to 4 meters high. However, it is only from the 2nd or 3rd year that the harvest can be considered. In order to help farmers generate an income from their yield, we have set up short as well as long term contracts which guarantee the buyback price of their crop.